As the global leader in talent solutions, we take pride in what we do, connecting great people to great opportunities, helping businesses win and careers soar. 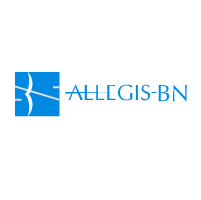 Today, with $12.3 billion in revenues and 500+ global locations, Allegis Group and its network of specialized companies provide a full suite of complementary talent solutions that solves nearly every workforce challenge to empower business success while consistently delivering an unsurpassed quality experience. Our companies include Aerotek; TEKsystems; Aston Carter; Allegis Global Solutions; Major, Lindsey & Africa; Allegis Partners; MarketSource; EASi; The Stamford Group; and Getting Hired. Learn more at AllegisGroup.com.